It's always good to see a project come to fruition after many months of hard work, but especially when it's for a charity. To meet the brief, Phi provided a tailored lighting solution using its recessed, surface and suspended versions of the QUO2 to suit the different architectural environments within the space. The original specified manufacturer could not supply a 5000K down lighter solution that was required within the project time frame. Phi used the QUO2 product, which not only meets the technical, time frame but also the budget requirements of the project. The resulting configuration of a 5000K cool white solution was needed to provide a crisper cooler coloured environment to assist the users in the space who have visual impairments. 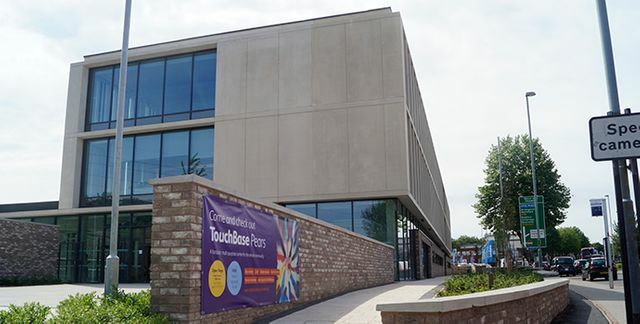 Phi's bespoke solutions are becoming increasingly popular with clients and Touchbase demonstrates how they can have a hugely positive impact on both refurbishment and new-build projects.